What does the Bible say about the Trinity? Why should we believe in the Trinity? How does the Trinity meet the deepest psychological needs of every human being? Nicky Gumbel tackles one of the most challenging doctrines of the Christian faith. 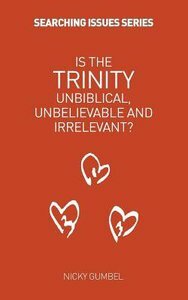 About "Is the Trinity Unbiblical, Unbelieveable and Irrelevant (Searching Issues Chapter Series)"